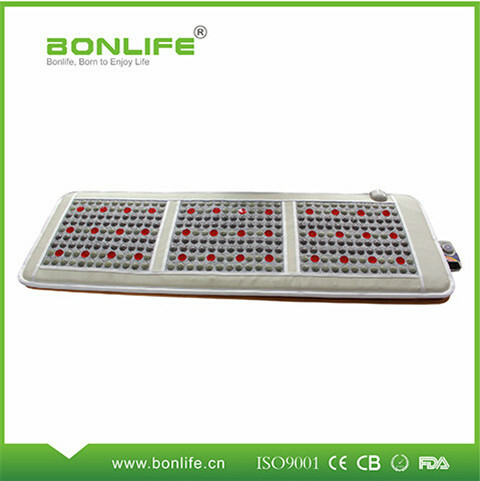 Far infrared heating healthcare mattress or cushion adopt natural jade or tourmaline materials, combined with carbon fiber and photons conductive heating system, to produce 3.6-16 micron wavelength, heat radiation 2-15mW/cm, activate jade and tourmaline contained abundant calcium (Ca), magnesium (Mg) ions to release large amounts of negative ions ,penetrate into the human cells, to promote blood circulation, improve the human microcirculation, improve the body's immune function. When running the products will generate full-closed alternating magnetic field (50 times / sec), can effectively adjust the orientation of the body's Yin and Yang and promote long wave magnetic field lines direct transparent spinal nerves deep in the body, activate the brain cells, improve IQ,. The Chinese and Foreign medical studies have shown that the product has a very good physical therapy effect on the high cholesterol, high blood sugar, obesity, atherosclerosis , neck pain, back pain, lumbago, dysmenorrhea, senile constipation etc . Looking for ideal Massage Mattress Manufacturer & supplier ? We have a wide selection at great prices to help you get creative. All the Jade FIR Massage Mattress are quality guaranteed. 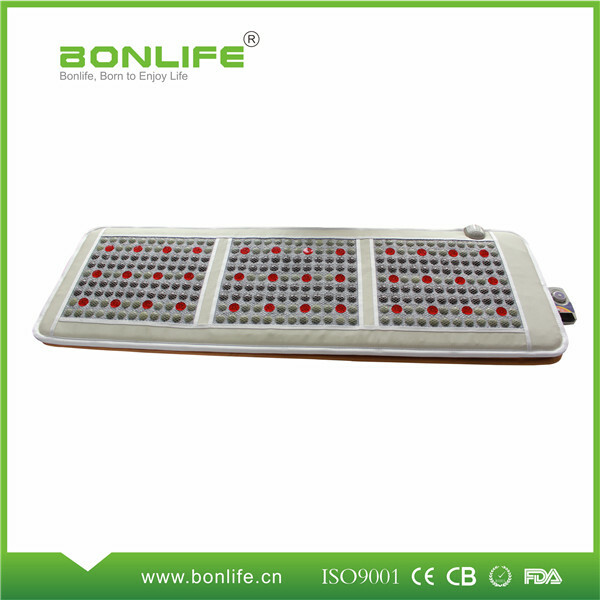 We are China Origin Factory of Photon And Tourmaline FIR Massage Mattress. If you have any question, please feel free to contact us.